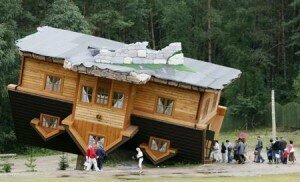 Until recently I did not realize that it was even possible to refinance a mortgage that was upside down. I assumed that if someone owed more on their home then it was worth they were out of luck. I figured these record low rates were just out of reach for them. In fact… Out of reach for ME. Yes… just like hundreds of thousands of other American home owners I now owe more on my home then it is worth. At least it is really close. I may be able to break even. I am watching the interest rates drop and drop and drop and drop… you get the picture, and I just have to sit on my “terrible” 5.5% 30 year fix. Well I have some great news for those of you in this situation. There is a loan specifically created for people in this scenario. There are a few guidelines and here is what we know so far. You current loan has to be a Fannie Mae or Freddie Mac loan to qualify as this is a Feddie/Fannie loan. This is easy to find out. For Fannie Mae click here. For Freddie Mac click here. In order to avoid mortgage insurance your current loan cannot have it. You must have a credit score of 680. These are the main guidelines for this loan. If you are in a similar situation it may be worth calling your loan officer to see what they can do for you. If I can qualify for this loan I would personally drop my rate into the low 4% range and save big bucks every month. I already have my application in as we speak. If you are in Washington State check out Clark Davis. Remember that your loan scenario is going to differ from others. Contact a professional to get all the details you will need to see if you qualify.